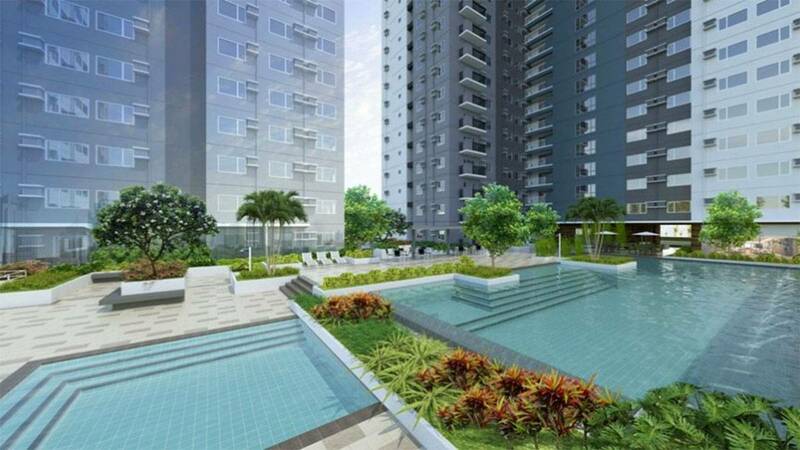 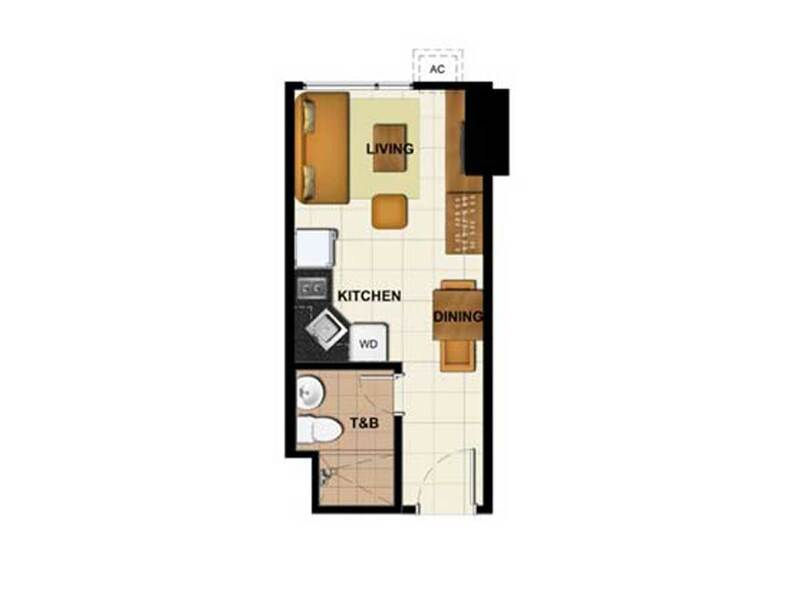 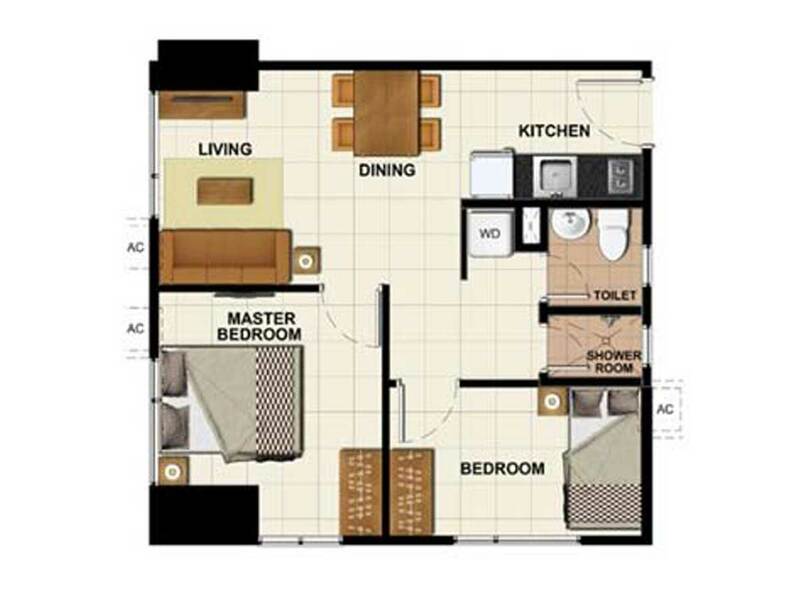 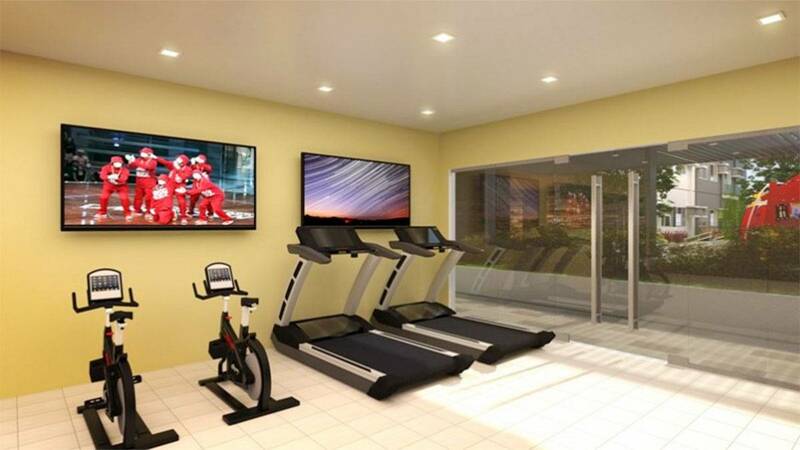 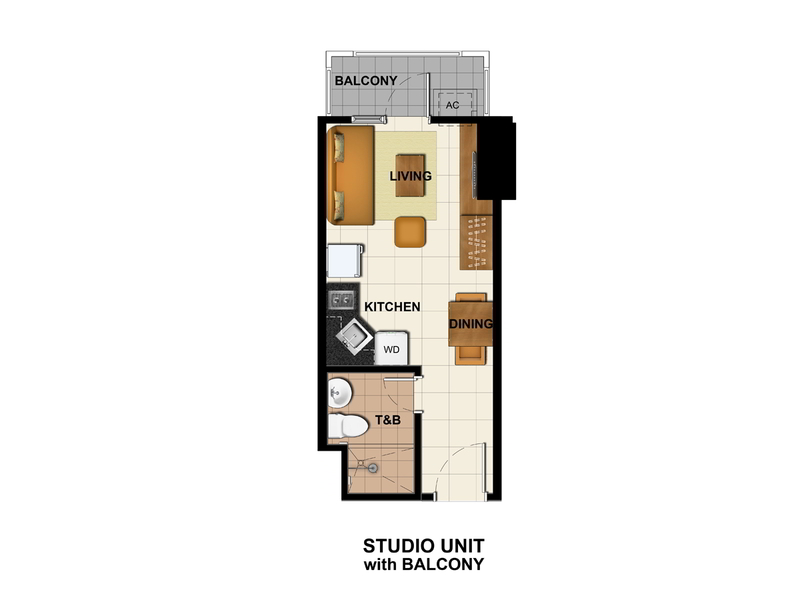 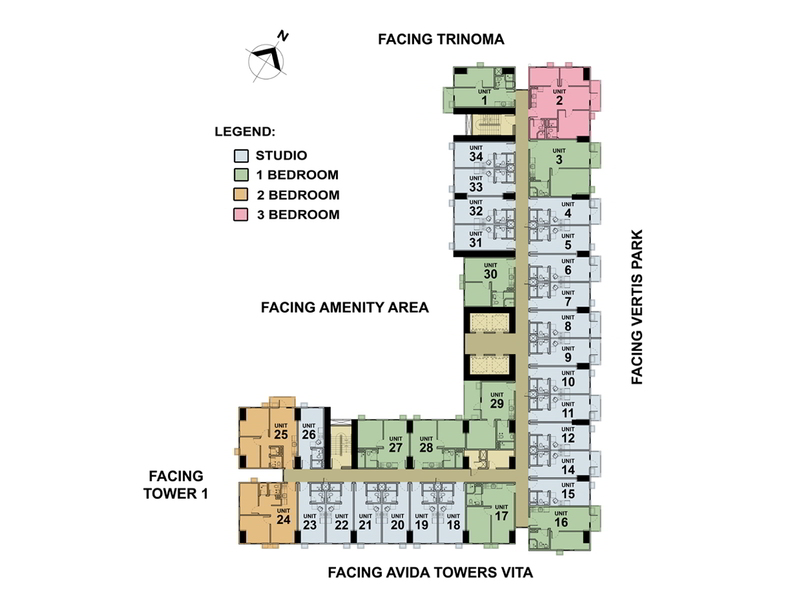 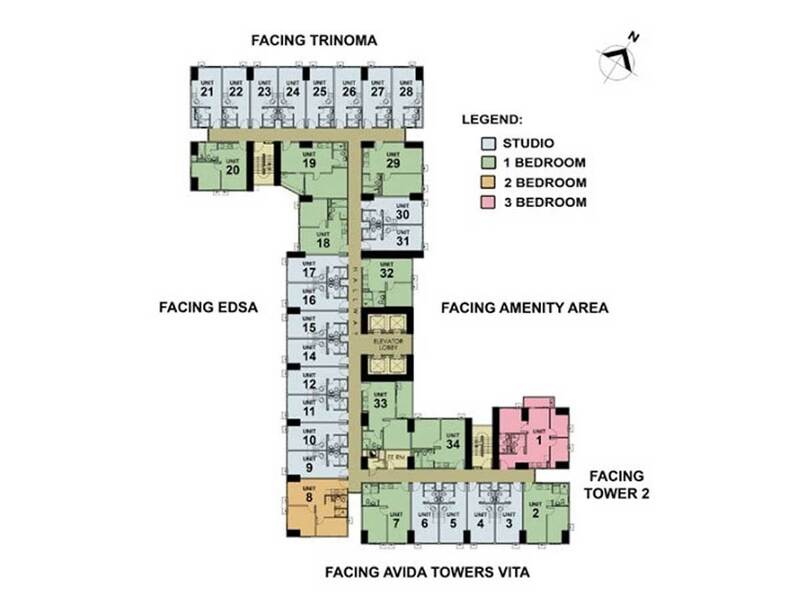 Avida Towers Sola is a place where you can easily take a breather while still being in the middle of the vibrant city. 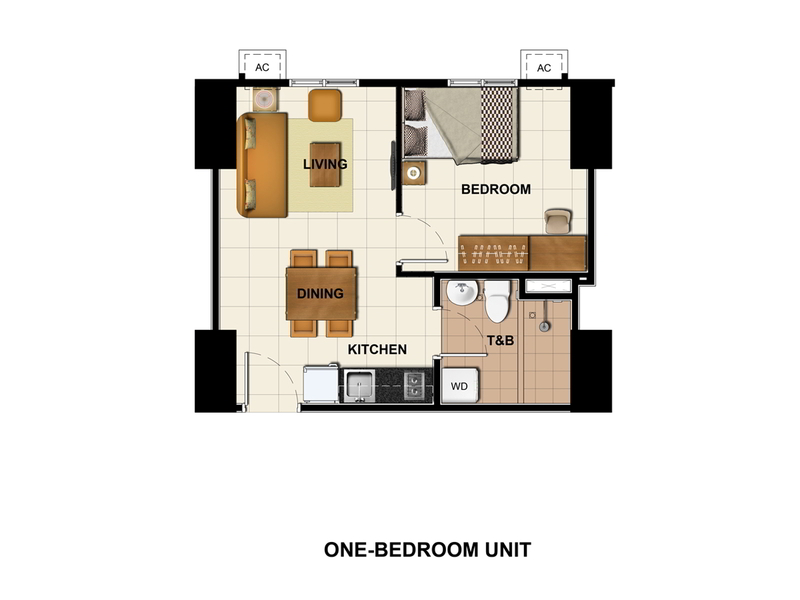 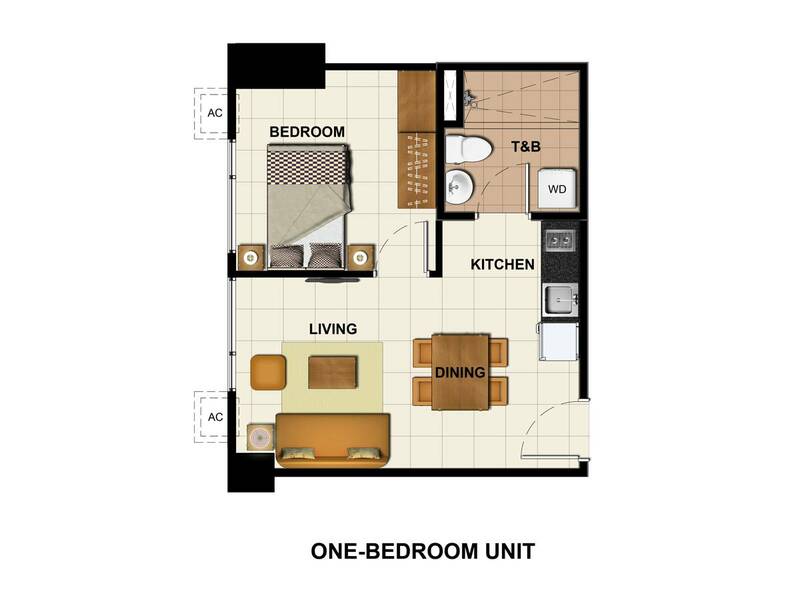 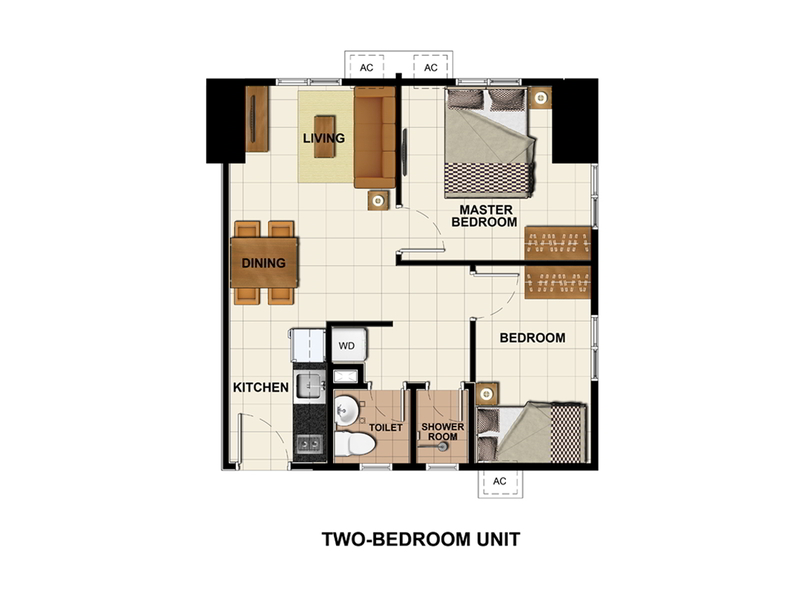 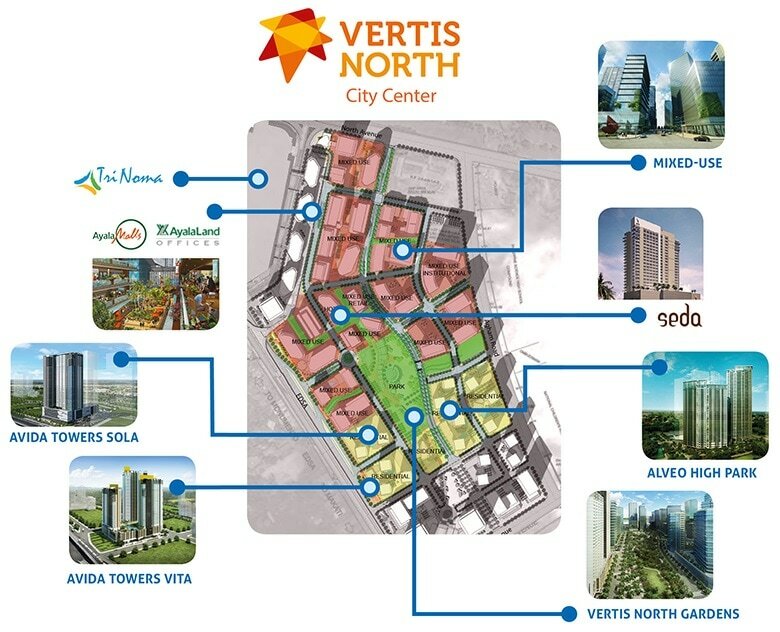 Vertis North is a 29-hectare master planned, mixed-use, and sustainable development strategically located at the convergence point of key Metro Manila thoroughfares, particularly EDSA and North Avenue. 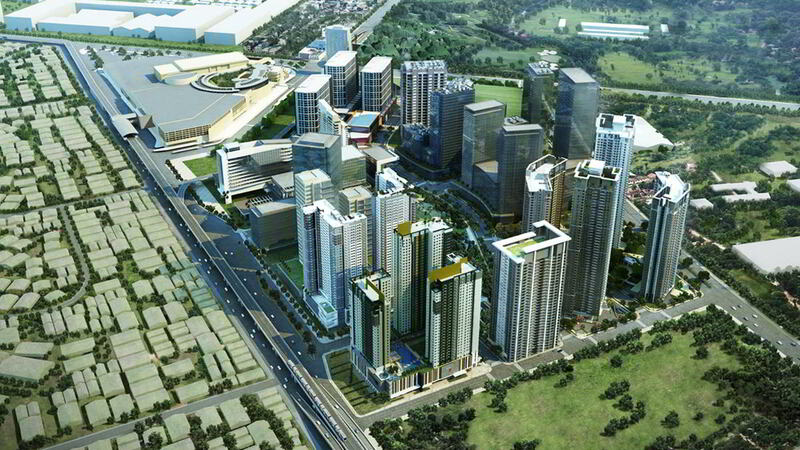 EDSA links the north and south of Metro Manila while Quezon Avenue serves as a link to the east and west. 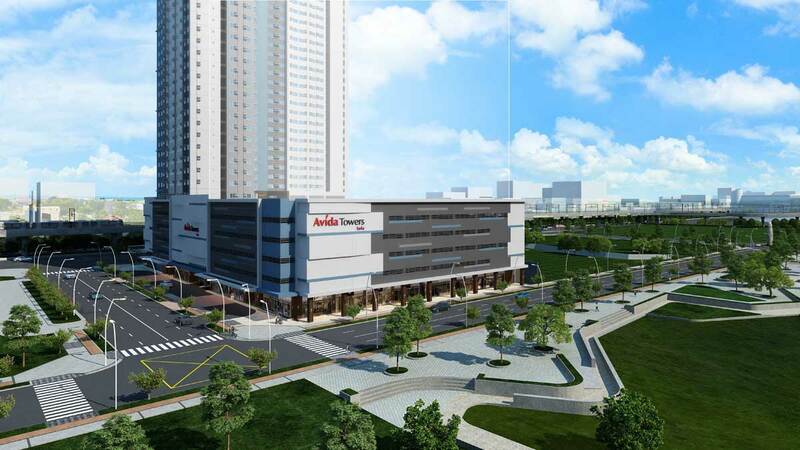 A joint venture between Ayala Land and the National Housing Authority, Vertis North is envisioned to be the City Center of Quezon City, Vertis North shall offer a diverse mix of elements including retail, office, residential, hotel and entertainment facilities. 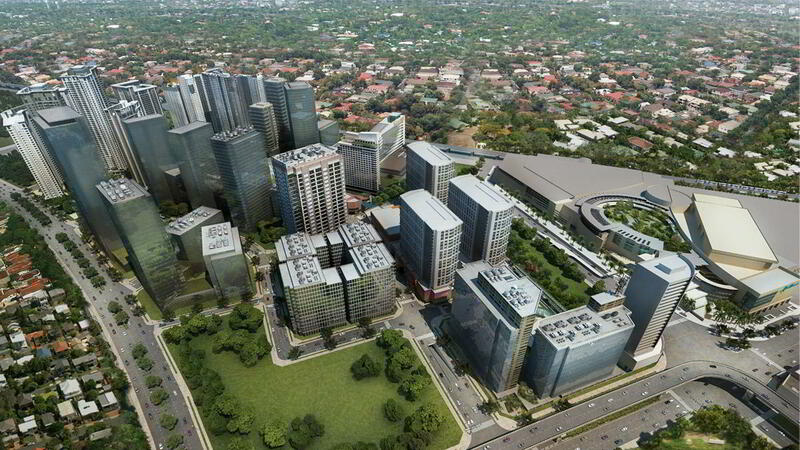 The area is surrounded by a number of commercial centers like the Trinoma mall and SM North EDSA; schools such as The University of the Philippines Diliman and Ateneo de Manila University; hospitals and places of work. 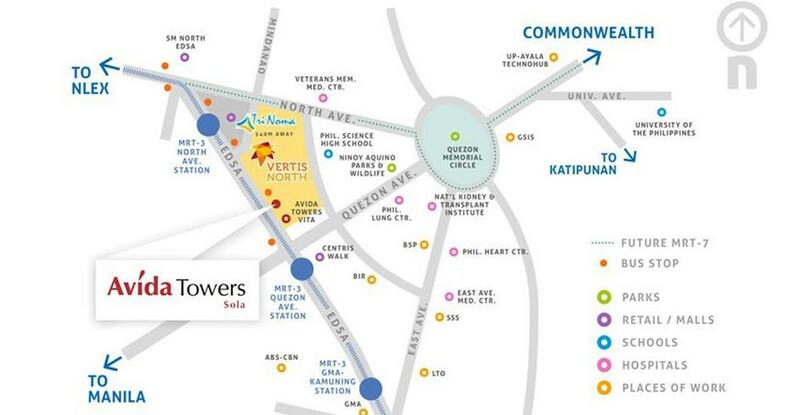 And you’re also never too far from the MRT and bus terminals. 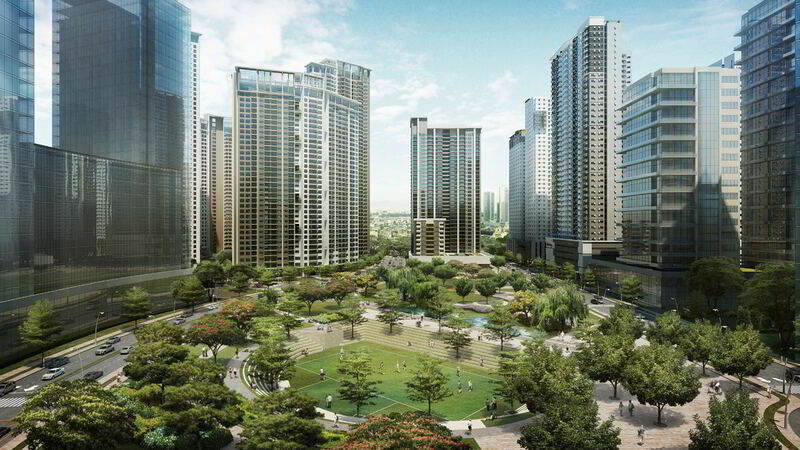 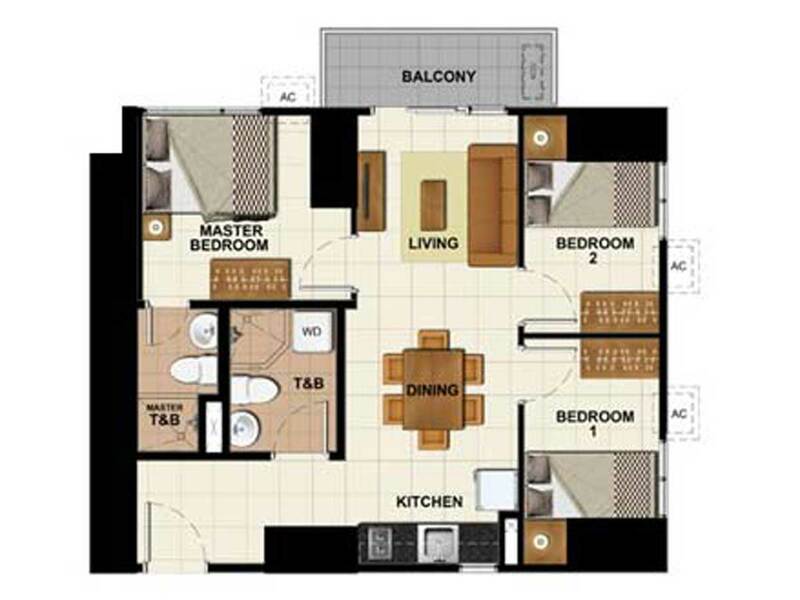 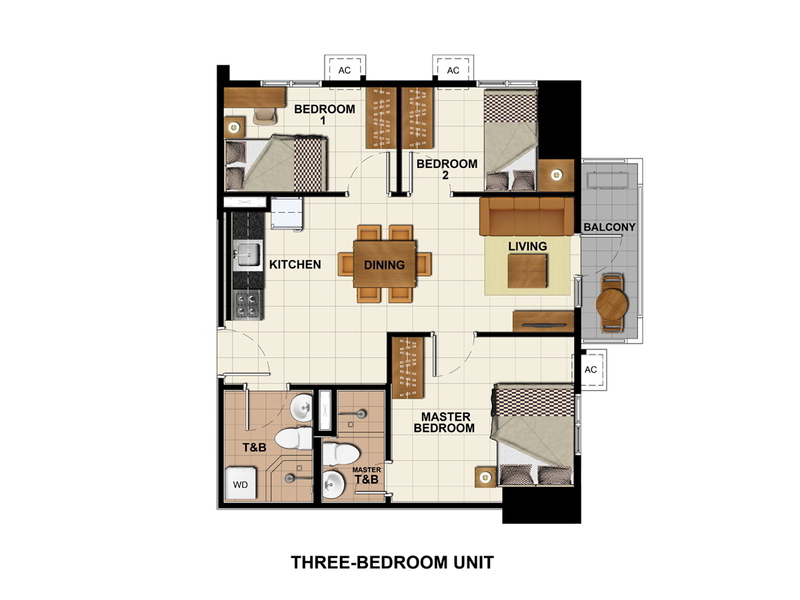 Vertis North will give new meaning to the phrase ‘ease-of-access’.